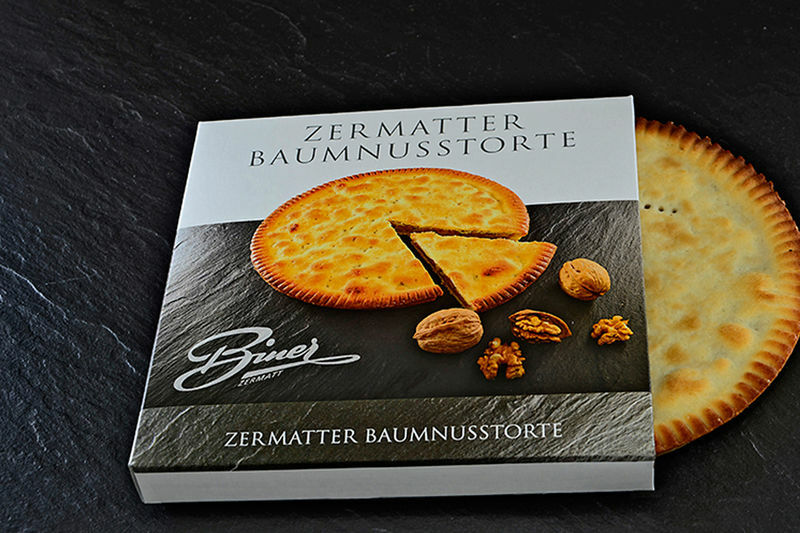 Walliser Baumnusstorte (Valais walnut pie), skilfully hand-crafted, using lots of walnuts and honey, according to our old family recipe. 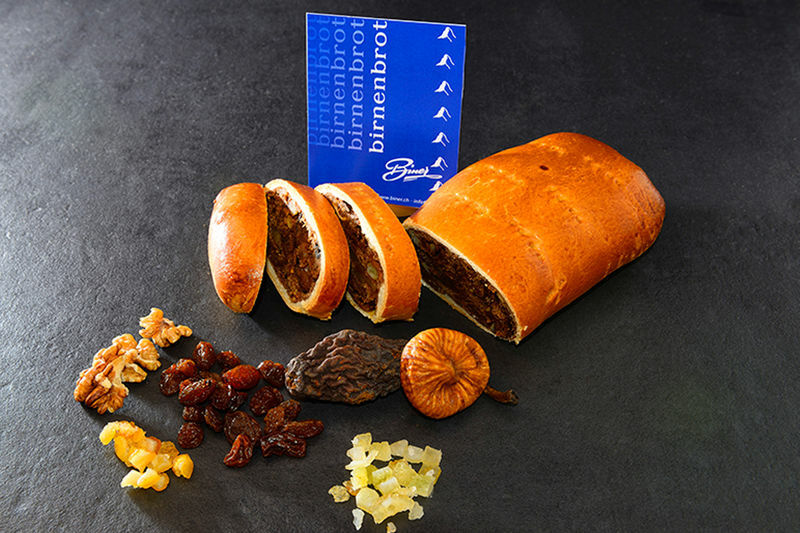 Birnenbrot (spiced pear loaf) is a traditional bake from the Swiss Alps, filled with dried pears, figs, sultanas, candied fruits and walnuts. The perfect, nutritious snack for on the go. Not only is Walliser Roggenbrot AOP (Valais rye bread) tasty, it is also healthy. Rich in fibre, it is synonymous with rye cultivation in Valais. The rye is grown exclusively in Valais, milled into flour in Valais mills and baked by Valais bakeries to create Valais rye bread AOP. 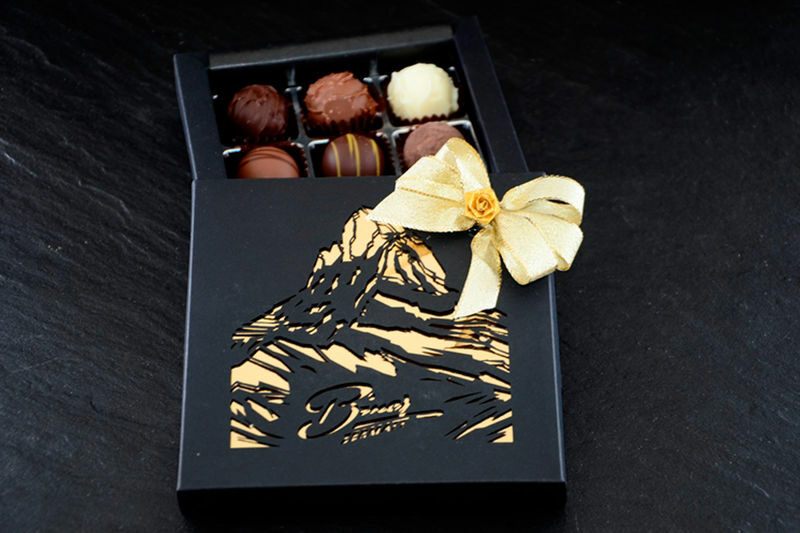 Packs of 2, 4, 9 and 16 finest Matterhörnli nougat-filled chocolates.